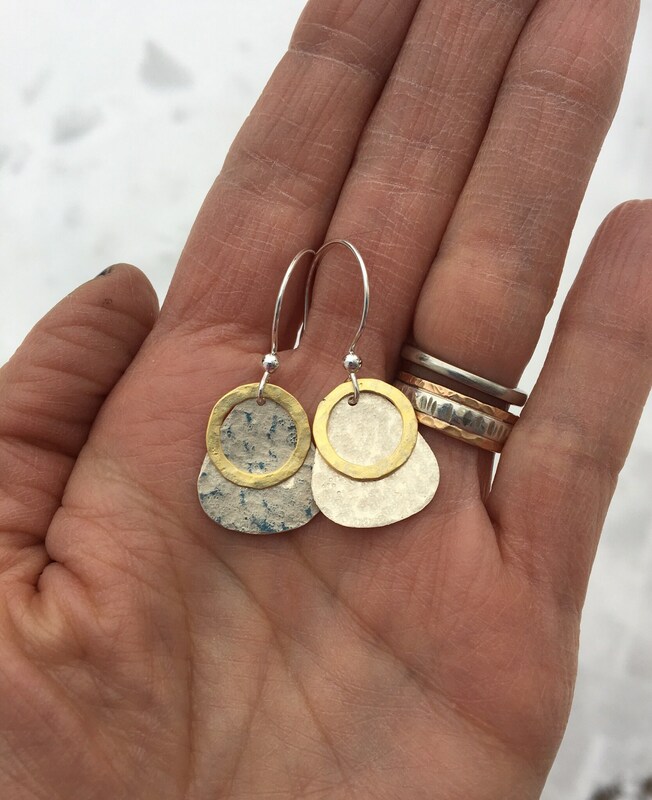 These hand hammered earrings will match many gold & silver jewelry pieces. 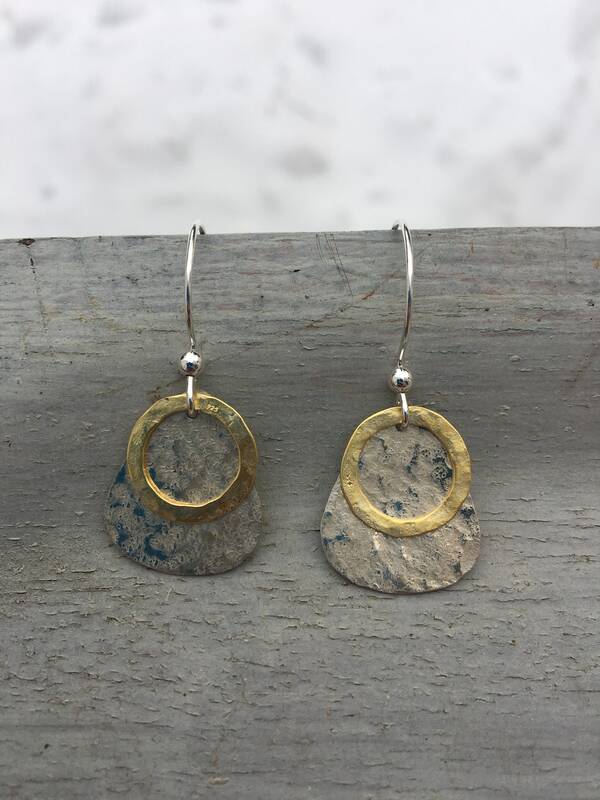 A solid sterling silver tear shaped drop has a gold plated sterling circle. 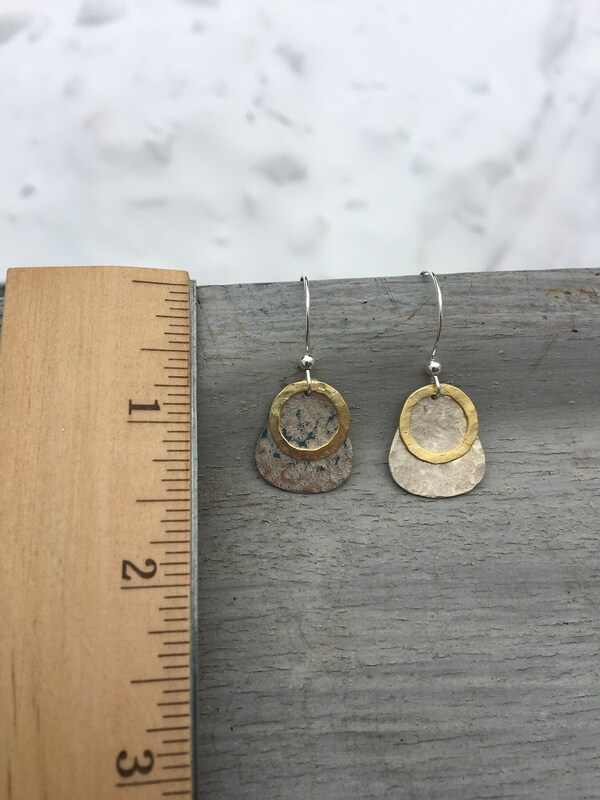 Both pieces have been gently hammered & filed by hand. They measure 1 1/2” long. 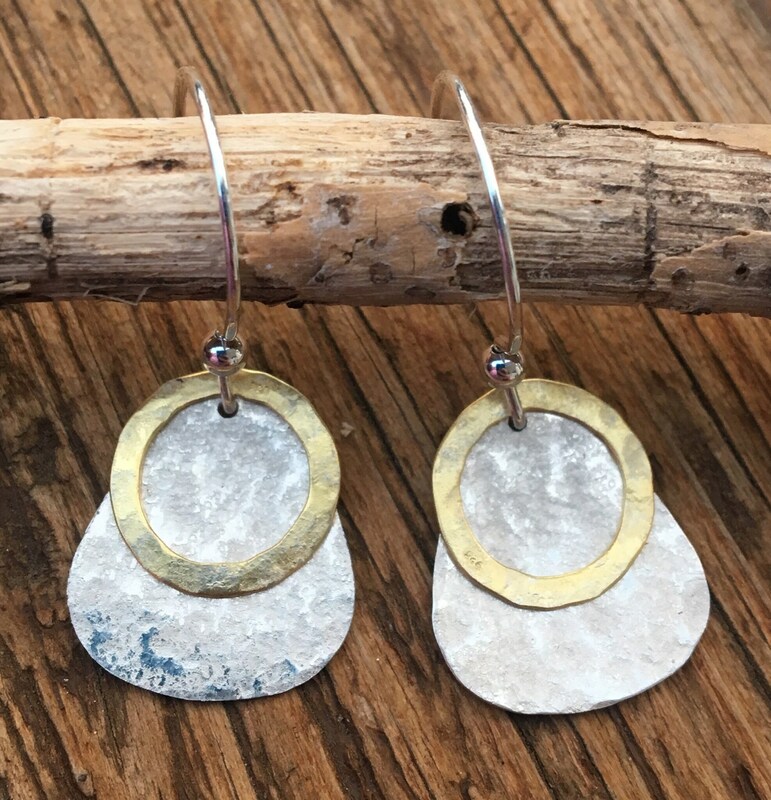 Sterling ear wires. See photos for size measurements.